Formed in 2003 by bassist Christopher Bollman and guitarist Greg Fasolino, the Brooklyn-based quartet were inspired by the atmospheric British rock of the Eighties and related genres like dream pop, shoegaze and new wave, building on authentic experience as members of old-school NYC post-punk bands like The Naked and the Dead and The Children's Zoo. After participating in a brief 2002 Naked and the Dead reunion, Fasolino and Bollman soon added drummer Hayden Millsteed (also a member of Lubricated Goat). In 2005, singer Nick Niles (originally from Sacramento, CA) joined the band, filling out the sound and solidifying their direction. An initial four-song eponymous demo quickly garnered local and European media attention. Impressive reviews for the band's shimmering songs led to their signing with new NYC indie label five03 Records, who released Bell Hollow's first official EP. Sons of the Burgess Shale, recorded in May 2006 with producer/engineer Hillary Johnson at Seaside Lounge in Brooklyn, was issued in October 2006. in October 2006. Shortly thereafter, drummer Todd Karasik (formerly with indie-pop cult heroes My Favorite) replaced Millsteed. Their first performance with the new lineup was in March 2007 at the prominent annual Winterfest arts festival at the Crane Arts Building in Philadelphia. Bell Hollow recorded their debut full-length record, Foxgloves, at Water Music in Hoboken, NJ during June-July 2007, with Johnson (also the band's live synth player) again at the helm. Guest musicians on the album included Joshua Strawn of Blacklist playing acoustic guitar on the track "Eyes Like Planets" and Andrea Vaughn of My Favorite performing backing vocals on "Getting On in Years." 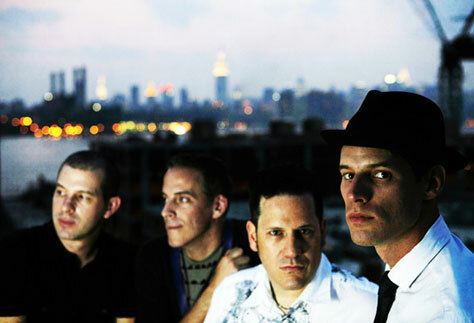 The 10-song album (including "Copper Crayon," "Jamais Vu," and "Our Water Burden") was released by five03 in November 2007, to considerable acclaim, debuting at 166 on the CMJ charts. Bell Hollow toured the Southeast and Midwest during 2008, including concerts in Detroit, Washington, New Orleans, Philadelphia, Buffalo, Toledo, Raleigh, Atlanta, and Athens, GA. They were interviewed on several New York radio stations, including East Village Radio and BreakThru Radio, playing live on the latter, as well as Detroit podcast Most People Are DJs. Over the course of their public career, Bell Hollow performed with New Model Army, Bush Tetras, Robbers on High Street, Longwave, Bunnydrums, Lene Lovich, Ether Aura and labelmates The Prids, among others. In the summer of 2008, Bell Hollow signed with online music purveyors RCRD LBL, released five free remixes from Project Jenny, Project Jan; hip-hop producer/remixer Phofo; Nine Inch Nails remixer Halo33; Cruel Black Dove; and Peter Du Charme (aka Master Cylinder, of "Jung at Heart" fame). "Eyes Like Planets (Halo33 Remix)" was issued as a digital single on September 26, and "Copper Crayon (Project Jenny, Project Jan Remix)" was featured in the NBC television series Kath & Kim. The five remixes were packaged with three outtakes from the Foxgloves sessions (“Peru,” “Late at Night” and “Throw Me”) as a digital-only EP Foxgloves Extras, released by five03 in December 2008. Frontman Nick Niles left Bell Hollow in December 2008 to pursue his own direction, and the band chose not to continue, making a formal announcement of dissolution in February 2009. A luminous cover of The Prids' "Contact" appeared on the Dots to Connect: The Music of the Prids tribute compilation issued by five03 in April 2009, and "Jamais Vu (The Harrow Remix)" was also released that year as a free download on Facebook. A possible posthumous EP of final recordings (including live favorites "Tigershaped," "The Invitation," "Trip the Fantastic," "Whirl and Pearl" and "Oh, My Heart Is Stone") remains in the works for the future. Todd Karasik continues to record and perform with The Secret History, the successors to My Favorite. Christopher Bollman is a luthier. Greg Fasolino resurfaced in 2013 with new project The Harrow, who released their debut eponymous EP that October.